Being lucky? That is for example having the opportunity to photograph the MIDNATSOL (translated: midnight sun) at midnight. The photo was taken in Ålesund last Sunday. 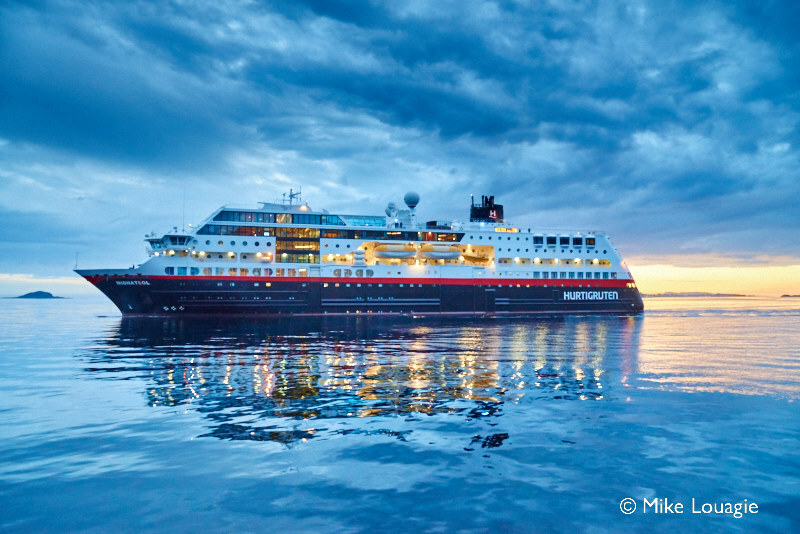 MIDNATSOL is one of the six Hurtigruten vessels that will be converted into a LNG-hybrid powered ship. Hurtigruten has signed a letter of intent with Rolls Royce for this important conversion, linked to the new contract with the Norwegian State to operate 7 of the 11 licenses along the Norwegian Coast. The new license starts in 2021, and will be shared with Havila Kystlink (four ships to be built).